Philanthropist Dee Schwab is one of 13 dancers competing for a great cause at the sold-out Dancing with the Stars of Charlotte for The Pink House fundraiser. Dee will perform a ballroom routine with her professional dance partner, Felipe Gonzales Edmiston. One of the fastest-growing fundraisers in Charlotte is Dancing with the Stars of Charlotte for The Pink House, a benefit for Caroilna Breast Friends. Since 2016, it’s raised more than $1.55 million to support the services the nonprofit Carolina Breast Friends provides for those with breast cancer in our community. Modeled after the popular Dancing with the Stars TV show, it pairs professional dancers with community leaders. Each team performs a ballroom dance number that is scored by judges from the competitive dance world. Audience members also get to vote for their favorite star by making donations to Carolina Breast Friends. Each dollar donated is equivalent to one vote. Emcees for this year’s sold-out event on March 30 at Knight Theater are WBTV's Molly Grantham and NFL star DeAngelo Williams, both of whom have lost close family members to breast cancer. They’ll be handing out the mirror ball trophy for the top fundraiser, the biggest crowd pleaser, and the highest-scoring dancer. Among the 13 stars competing is Dee Schwab, a mother of four who is also a grandmother of four. She’ll be joined on stage by fellow competitors and philanthropists JoBrent Austin-Diehl, Nick Clavin, Amanda Hibberts, Anitha Leonard, Davis Ligon, Katherine Weeks Mulford, Joey Profeta, Heather Sendler, Mary Bryan Smith, Celia Thompson, Shane Wagner and Hayes Woollen. Dee will perform with professional dancer Felipe Gonzales Edmiston. She jokes that she’s looking forward to finding out if her 5th grade ballet classes will finally pay off. But her true motivation is supporting the nonprofit’s inspiring mission. In between her demanding dance practice sessions, Dee took time from her busy schedule to answer The O Report’s questions. The O Report: Being a dancer at this fundraiser is a huge commitment. What motivated you to participate? Dee: I love to dance! And dancing for such a worthy cause is an added plus. The O Report: What has been your favorite part of the process? Dee: Connecting to Charlotte’s community of dancers and dance teachers has been a great new thing for me. My weekly lessons at Midtown Ballroom were intimidating at first. But now they are relaxing, sometimes hilarious and always fun. The O Report: What has been the most challenging? Dee: Memorizing our agreed upon dance. It’s only two minutes, but has lots of intricate steps. Fingers crossed! The O Report: Any details you can share about your costume, music and your amazing professional dance partner Felipe? Dee: I could not have a better partner than Felipe. He also directs our production. He’s a spectacular dancer, a kind and patient teacher, and now a great new friend. Our beautiful costumes are custom-made by the very talented Daniel Gonzales, who happens to be Felipe’s brother. It’s a family affair! The O Report: What are you most looking forward to in regards to the fundraiser and what you hope it accomplishes? Dee: I’m looking forward to our performance Saturday night at the Knight Theatre. And I so appreciate the generosity of friends who have supported me and all the other community dancers. We’ll never know the Pink House patrons we’ve helped, but we’ll know we helped them. 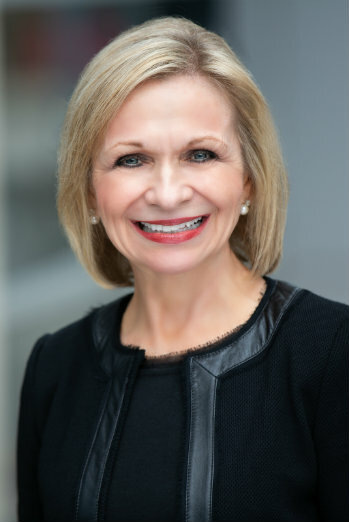 Carol Lovin, Executive Vice President and System Chief of Staff for Atrium Health, will receive the Charlotte Businesswoman of the Year Award on March 7 at Queens University of Charlotte. CHARLOTTE BUSINESS WOMAN OF THE YEAR: Carol Lovin, Executive Vice President and System Chief of Staff for Atrium Health, will be honored for being a leading female executive who has made significant contributions to the business community. Featured speaker is Nancy Howell Agee, President and CEO of Carilion Clinic, a $2 billion not-for-profit, integrated health care system headquartered in Roanoke, Virginia. 11:30 a.m. March 7 in Morrison Hall on the campus of Queens University of Charlotte, 1900 Selwyn Avenue. The lunch and program are from noon to 1:30 p.m. Individual tickets are $90. Registration: www.queens.edu. More than 125 restaurants are participating in Queens Feast Charlotte Restaurant Week Jan. 18-27. QUEENS FEAST CHARLOTTE RESTAURANT WEEK: The perfect excuse to try a new restaurant or an old favorite. 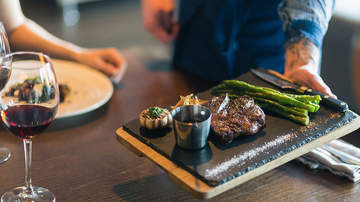 More than 125 restaurants will offer a special three-course prix fixe menu for $30 or $35. Jan. 18-27. charlotterestaurantweek. Opera Carolina’s production of George Bizet’s Carmen is Jan. 19, 20 and 24 at Belk Theater uptown. CARMEN: Opera Carolina’s production of one of the most popular operas of all-time. 8 p.m. Jan. 19, 2 p.m. Jan. 20 and 7:30 p.m. Jan. 24. Tickets range from $22 to $157. Belk Theater uptown. 704-372-1000; operacarolina.org. INNOVATIVE WORKS: The literature of William Shakespeare meets modern ballet in this collaboration between UNC Charlotte and Charlotte Ballet. Choreographer Stephanie Martinez and playwright Dr. Lynne Conner explore Shakespeare’s leading female characters in this new work. Jan. 25-Feb. 16. charlotteballet.org. WHAT ARE YOU CARRYING? HANDBAG AUCTION: A fun evening of education, awareness, hope and handbags to support the therapeutic programs of HopeWay., a nonprofit residential mental health facility. 6:30-8:30 p.m. Feb. 6. Quail Hollow Club. $45, Details. As we say goodbye to 2018, here’s a list of the Top 18 most popular articles from The O Report website over the past year. Click on each title to read the original story. 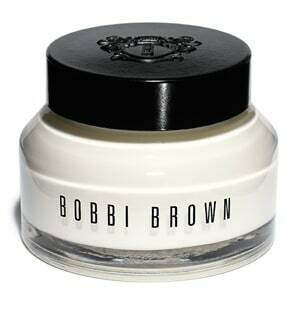 Top Bobbi Brown Products For Men. It’s true, men really are becoming as obsessed with skincare as the women in their lives. Author Kimmery Martin Rules. 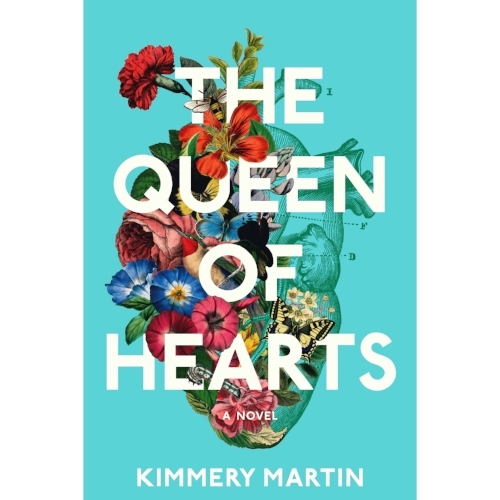 The O Report readers love books, especially this Charlotte-based author’s national debut novel, The Queen of Hearts. 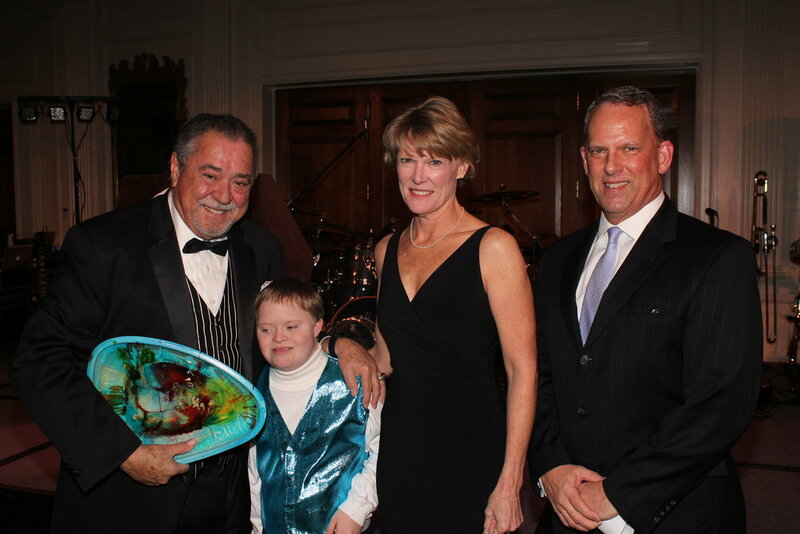 Felix Sabates Hosts Allegro Foundation Fundraiser. Felix was in the news a lot this year as rumors swirled about his interest in putting together a group to buy the Carolina Panthers, but The O Report readers loved seeing this soft side of the generous businessman. Dr. Stephan Finical. 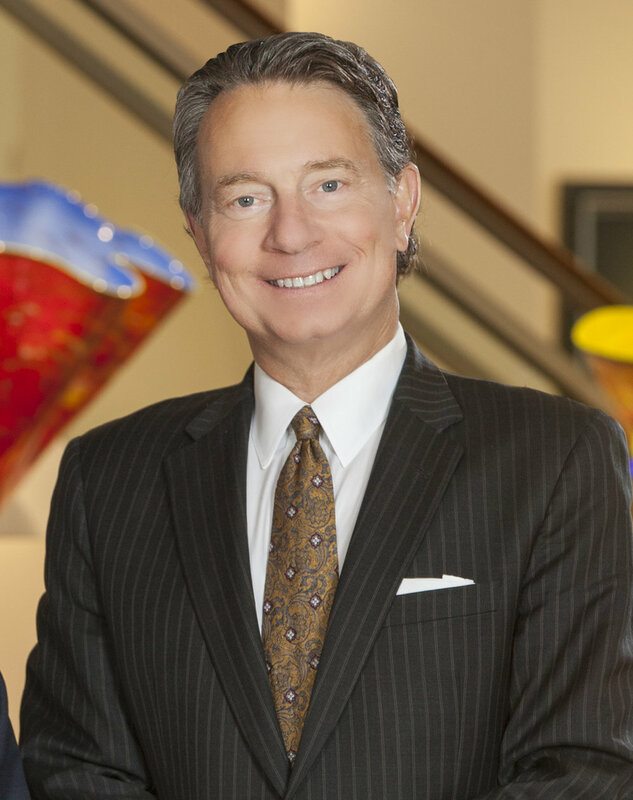 A profile of one of the top plastic surgeons in the nation who’s part of Charlotte Plastic Surgery’s award-winning team of doctors. Exquisite Rings For Brides Of Any Age. When 50 and up brides and grooms marry, Tiffany & Co. at SouthPark Mall is a popular stop on the way to the altar. Michael Marsicano. Our profile of the man who many consider to be Charlotte’s most powerful people, and also one of its nicest. Visionary Women Luncheon. This celebration of the power and purpose of women coming together to connect, listen and share is presented annually by Queens University of Charlotte, Wells Fargo Private Bank and the Mint Museum. The O Report Magazine Wins Prestigious Award. To be recognized as an outstanding publication by the Academy of Interactive and Visual Arts and its team of judges from iconic brands including Conde Nast, Estee Lauder, Sotheby’s and Lockheed Martin was definitely the highlight of The O Report publisher Olivia Fortson’s professional year. Francene Marie Morris: Create A Life You Desire. Readers really tuned into the award-winning radio personality’s advice. Michelle Melville Shares How To Stay Modern. The J.Hilburn stylist’s tips for men were on trend. Advice From A World Famous Makeup Artist. Sir John is beauty industry royalty and his exclusive Q&A with The O Report was a major coup. Randy Gartz. This tech recruiter’s great advice and zest for life resonated with readers. Wig Party! Readers flipped for photos from creative couple Regine and Andreas Bechtler’s Wig Party. Get The Job Done In Style. The O Report readers love to look chic while working hard, and they want their desk accessories to do the same. Fashion Is In Her DNA. There’s a reason why Whitley Adkins Hamlin is one of Charlotte’s most sought-after and fashionable stylists. Lynn Ivey: Follow Your Intuition. A fascinating profile of the woman who founded a nonprofit that has made a dramatic difference in the lives of caregivers and their family members with memory loss. Advice From Style Influencer Scott Newkirk. Tabor’s buyer and creative director has an expert eye for all things elegant and modern. Tips From A Fitness Expert. Jill Cerami, who manages, trains and teaches classes at Trilogy at Lake Norman’s workout center, has great advice for older exercisers. Five New York Times best-selling authors are part of Verse & Vino, a Nov. 1 fundraiser for the Charlotte Mecklenburg Library Foundation. VERSE & VINO: An evening of food, wine, and conversation with five New York Times best-selling authors to raise funds for the Charlotte Mecklenburg Library Foundation. The featured authors and their new releases are: Elliot Ackerman, Waiting for Eden; Lou Berney, November Road; Casey Gerald, There Will Be No Miracles Here; Paula McLain, Love and Ruin; Julia Reed, South Toward Home. 6-9:30 p.m. Nov. 1. Charlotte Convention Center., 501 S. College St. $150. www.foundation.cmlibrary.org. 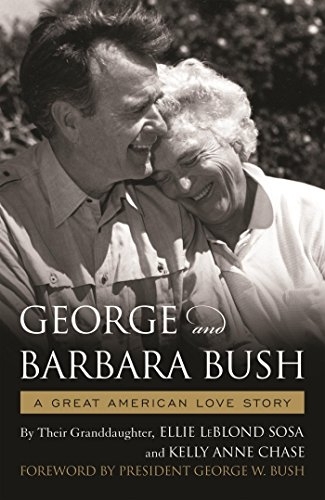 ELLIE LEBLOND SOSA BOOKSIGNING: The author and granddaughter of George and Barbara Bush will sign copies of her new book about her grandparents and their love story. Bruce Julian will be serving his famous Bloody Marys and Shrimp and Grits. 10:30 a.m.-2 p.m. Nov. 3. The Buttercup, 343 Providence Road. 704-333-0554. HAMILTON: The smash Broadway hit comes to Charlotte. It’s based on Ron Chernow’s biography of Founding Father Alexander Hamilton, an immigrant from the West Indies who became George Washington's right-hand man during the Revolutionary War and was the new nation’s first Treasury Secretary. Book, music and lyrics by Lin-Manuel Miranda. The score blends hip-hop, jazz, blues, rap, R&B, and Broadway, Through Nov. 4. Belk Theater at Blumenthal Arts Center, 130 N. Tryon St. Tickets: $154-$599. www.blumenthalarts.org. Raise money for Dress For Success while helping the nonprofit clear out space during its Inventory Reduction Event on Nov. 3. INVENTORY REDUCTION EVENT: Surplus women’s suits, sweaters, dresses and shoes will be for sale to make room for new inventory at this fundraiser. Only cash in bills $20 or less and credit/debit cards will be accepted. 10 a.m.-4 p.m. Nov. 3. Dress For Success Boutique & Career Transformation Center, 500-A Clanton Road. charlotte.dressforsuccess.org. The Southern Christmas Show is Nov. 8-18 at The Park Expo & Conference Center. SOUTHERN CHRISTMAS SHOW: Get a head start on your holiday at this marketplace that also features entertainment, a decor competition, Christmas Tree lane and more. Nov. 8-18. The Park Expo & Conference Center, 800 Briar Creek Road. Parking is $8 (cash only). southernchristmasshow.com. Opera Carolina presents Daughter of the Regiment Nov. 10, 15 and 18 at Belk Theater at Blumenthal Performing Arts Center. ﻿DAUGHTER OF THE REGIMENT: Opera Caroline presents Donizetti’s opera that actually has a happy ending. It tells the story of a spirited young orphan raised by a French army regiment who must chose between love and social status. 8 p.m. Nov. 10, 7:30 p.m. Nov. 15 and 2 p.m. Nov. 18. Belk Theater at Blumenthal Performing Arts Center, 130 N. Tryon St. Tickets: $22-$157. www.operacarolina.org. Famous makeup artist and entrepreneur Bobbi Brown is the featured speaker at the Mint Museum Auxiliary’s Fall EnrichMINT event on Nov. 15. FALL ENRICHMENT FORUM: Makeup artist, entrepreneur and author Bobbi Brown is the featured speaker at this event hosted by the Mint Museum Auxiliary. Includes champagne, light bites and a book signing. 9:30-11:30 a.m. Nov. 15. Mint Museum Uptown. $125. mintmuseumauxiliary.org. Legendary comedian John Cleese comes to Ovens Auditorium on Nov. 19. ﻿AN EVENING WITH JOHN CLEESE: An evening of comedy with the legendary star of Monty Python’s Flying Circus, Fawlty Towers and A Fish Called Wanda. 7 p.m. Nov. 19. Ovens Auditorium, www.ovensauditorium.com. 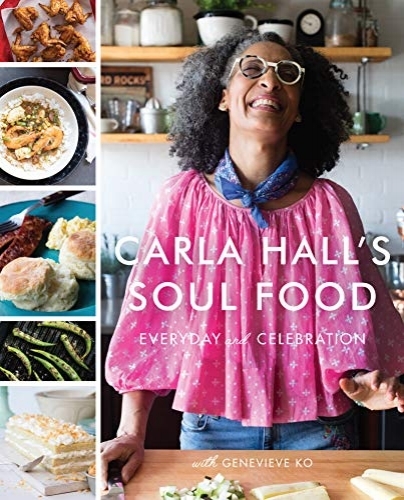 Chef Carla Hall will sign copies of her new Soul Food cookbook from 3 to 4:30 p.m. Nov. 20 at Williams Sonoma. CHEF CARLA HALL: The beloved celebrity chef from ABC’s Emmy Award-winning The Chew and a fan favorite on Bravo’s Top Chef and the Food Network’s baking competitions will sign copies of her new Soul Food cookbook. 3-4:30 p.m. Nov. 20. Williams Sonoma, Speciality Shops in the Park, 6401 Morrison Boulevard. Cost is $32.50 and includes a copy of the cookbook and light bites. Registration required; RSVP here. Celebrate the holidays during a bountiful Thanksgiving meal at the newly redesigned Ballantyne Hotel, or at a Tree Lighting ceremony the next day. THE BALLANTYNE HOTEL: Celebrate the holidays at The Ballantyne Hotel, which has just undergone a gorgeous new redesign. A bountiful brunch will be offered on Thanksgiving from 11:30 a.m. to 5:30 p.m. Nov. 22 featuring an array of seasonal salads, carving stations with regional accompaniments, decadent desserts and live music. Cost is $95 per person; $40 for ages 5-12; and complimentary for children ages 4 and under (pricing does not include tax or 24% service charge). Reserve here or at 704-248-4100. On Nov. 24 from 5 to 6:30 p.m., the hotel’s magnificent tree in the lobby will be lit during a festive complimentary ceremony that includes caroling, hot chocolate, cider, cookies and visiting with Santa. Michael McDonald performs holiday hits on Nov. 28 at Knight Theater. MICHAEL MCDONALD SEASON OF PEACE, HOLIDAY & HITS: The five-time Grammy Award winner performs beloved classics and songs of his new Christmas album. 7:30 p.m. Nov. 28. Knight Theater. $30, $49.50, $64.50, $79.50, $99.50, $179; meet and greet tickets are $279. carolinatix.org. Landscapes by John Beerman are on view through Nov. 24 at Anne Neilson Fine Art. ANNE NEILSON FINE ART: Through Nov. 24: Renewed Wonder: Studios Into the Landscape, recent paintings by John Beerman. 532 Governor Morrison Street. Gallery hours are 10 a.m.-5 p.m. Monday-Friday; 11 a.m.-3 p.m. Saturday. 704-496-9181; anneneilsonfineart. The multi-disciplinary exhibition Vicarious is at Elder Gallery of Contemporary Art from Nov. 1 through Jan. 5, 2019. ﻿ELDER GALLERY OF CONTEMPORARY ART: Through Oct. 27: Evolution, paintings by Susan Brenner and Chase Langford. 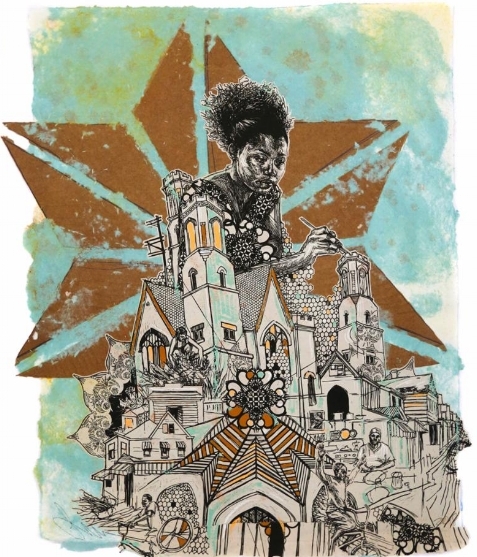 Nov. 1-Jan. 5, 2019: Vicarious, a multi-disciplinary exhibition featuring paintings by San Francisco-based Dan Bayless; drawings and paintings by Charlotte-based artist and Army veteran Will Bosbyshell; glass work by Pomona, California-based artist and Vietnam veteran Michael Aschenbrenner,; prints, objects and sculpture by Drew Cameron; installation work by Charlotte-based artist and Navy veteran Suje Garcia; a documentary produced by Susie Films; a virtual reality project produced by Army veteran Paula Kranz Broadwell; and artworks from graduates of the Chicago-based CreatiVets Program. Part of exhibit sales go to Veterans Bridge Home. 1520 S. Tryon St. Gallery hours are 11 a.m.-6 p.m. Tuesday-Friday; 11 a.m.-5 p.m. Saturday.704-370-6337; www.eldergalleryclt.com. Street Space, Embracing the History of Street Art & Culture is on view through Dec. 1 at New Gallery of Modern Art. Interiors, an exhibit of works by Damian Stamer, is on view through Nov. 9 at Soco Gallery. SOCO GALLERY: Through Nov. 9: Interiors, works by Damian Stamer. 421 Providence Road. Gallery hours are 10 a.m.-5:30 p.m. Tuesday-Saturday; noon-5 p.m. Sunday. 980-498-2811; www.soco-gallery.com. The National Ballet Theatre of Odessa performs the classic ballet The Sleeping Beauty for one night only on Dec. 19 at Knight Theater. Historic Wing Haven’s annual Fall Sale is open to the public Oct. 4, 5 & 6. FALL PLANT SALE: Wing Haven’s Fall Sale features locally sourced tried-and-true, rare and unusual plants. Nursery volunteers will be on-hand to answer your gardening questions. And you can take a piece of Wing Haven home by purchasing something special from the Legacy Plants Collections propagated from Wing Haven’s historic gardens. There’’s also a pop-up gift shop with unique items crafted by local artists. Members Day is 9 a.m.-5 p.m. Oct. 3. Public days are 9 a.m.-5 p.m. Oct. 4, 5 & 6. Wing Haven, 260 Ridgewood Avenue. www.winghavegardens.org. The must-see African Print Fashion Now exhibit runs Oct. 7, 2018 through April 28, 2019 at the Mint Museum Randolph. AFRICAN PRINT FASHION NOW: This exhibition introduces visitors to a dynamic and diverse dress tradition and the increasingly interconnected fashion worlds that it inhabits. View garments created by local seamstresses and tailors across the continent; international runway fashions designed by Africa’s newest generation of couturiers; and boundary-breaking, transinational and youth styles favored in Africa’s urban centers. All feature the colorful, boldly designed, manufactured cotton textiles that have come to be known as African-print cloth. Oct. 7, 2018 through April 28, 2019. Mint Museum Randolph, 2730 Randolph Road. Museum hours are 11 a.m.-9 p.m. Wednesday; 11 a.m.-6 p.m. Thursday-Saturday; 1-5 p.m. Sunday; closed Monday and Tuesday. Tickets are $15 for adults; $10 for college students and seniors 65 and older; $6 for children 5-7; free for 4 and younger. www.mintmuseum.org. The smash Broadway musical Hamilton is being performed Oct. 10-Nov. 4 at Belk Theater. HAMILTON: The smash Broadway hit comes to Charlotte. It’s based on Ron Chernow’s biography of Founding Father Alexander Hamilton, an immigrant from the West Indies who became George Washington's right-hand man during the Revolutionary War and was the new nation’s first Treasury Secretary. Book, music and lyrics by Lin-Manuel Miranda. The score blends hip-hop, jazz, blues, rap, R&B, and Broadway, Oct. 10-Nov. 4. Belk Theater at Blumenthal Arts Center, 130 N. Tryon St. Tickets: $154-$599. www.blumenthalarts.org. Charlotte Ballet’s Fall Works includes a celebration of the centennial of Jerome Robbins. Performances are Oct. 11-13 at Knight Theater. CHARLOTTE BALLET: The Fall Works production is a triple bill that celebrates the centennial of two landmark artists – Leonard Bernstein and Jerome Robbins – introduces Charlotte to French Choreographer Medhi Walerski and premieres a new work by Sasha Janes. 7:30 p.m. Oct. 11-12; 2 and 7:30 p.m. Oct. 13. Knight Theater, 430 S. Tryon St. $25-$95. www.charlotteballet.com. Emanuel Ax, one of the greatest pianists of our time, performs Oct. 18 at Halton Theater at Central Piedmont Community College. EMANUEL AX: Charlotte Concerts presents this concert by world-renowned pianist Emanuel Ax, considered to be one of the great pianists of our day. Oct. 18 at Halton Theater at Central Piedmont Community College. Pre-concert lecture begins at 6:40 p..m. in Tate Hall; the concert begins at 7:30 p.m. $65 and $55. www.charlotteconcerts.org. Support artists who’ve experienced homelessness during the ArtWorks 945 Annual Art Show on Oct. 20. ARTWORKS 945 ANNUAL ART SHOW; This fundraiser for Urban Ministry Center and the homeless men and women it helps features works by artists who have experienced homelessness with 50 percent of the proceeds going to the artists and 50 percent to ArtWorks 945/Urban Ministry Center. 4-7 p.m. Oct. 20. 945 N. College St. www.urbanministrycenter.org. The fantastic underwater images of photographic team David Doublet and Jennifer Hayes are part of National Geographic Live! Coral Kingdoms on Oct. 23 at McGlohon Theater at Spirit Square. NATIONAL GEOGRAPHIC LIVE! CORAL KINGDOMS: Follow along as photographic team David Doubilet and Jennifer Hayes dive deep into the unknown of our ocean, which covers 70 percent of our planet and yet remains a mostly fragile frontier. Experience the tropical marine waters of Papua New Guinea, Philippines, and Indonesia, see the vast 1800 miles of The Great Barrier Reef, and learn how Cuba’s reefs thrive due to political isolation. 7:30 p.m. Oct. 23. McGlohon Theater at Spirit Square. $19.50, $29.50 and $39.50. www.blumenthalarts.org. Put on your best black and white formal attire for the inaugural Pumpkin Charity Ball fundraiser on Oct. 26 at Ballantyne Hotel. 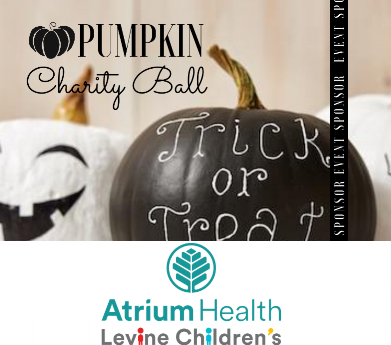 PUMPKIN CHARITY BALL: This inaugural fundraiser is a black-and-white formal event sponsored by the Isabella Santos Foundation to support Atrium Health’s Levine Children’s Hospital. 7-11 p.m. Oct. 26. Ballantyne Hotel. $150. isabellasantosfoundation.org. The Charlotte Symphony Pops performs music from Phantom of the Opera and other Broadway hits Oct. 26-27 at Knight Theater. CHARLOTTE SYMPHONY POPS: The orchestra performs a program of Broadway hits titled The Music of Andrew Lloyd Webber and More. It includes musical numbers from Chicago, Frozen, Phantom of the Opera and Cats. 7:30 p.m. Oct. 26-27. Knight Theater at Levine Center for the Arts. Tickets start at $19. charlotte symphony.org. Guests at a previous Pink Boots Ball. This year’s fundraiser for Carolina Breast Friends is Oct. 27 at the Ritz-Carlton. PINK BOOTS BALL: Puttin’ On The Ritz is the theme of this year’s Pink Boots Ball, a fundraiser for Carolina Breast Friends. Proceeds support the nonprofit’s mission of helping women during every stage of their breast cancer journey - from diagnosis, surgery, chemotherapy and radiation treatments, living with metastasis, remission; or the fear of recurrence - through encouragement, information, and assistance. Oct. 27 at the Ritz-Carlton. Cocktails at 6:30 p.m.; dinner at 7:30 p.m. Tickets are $225. www.carolinabreastfriends.org. Dress as your favorite music legend for the Duke Mansion Preservation Society’s annual fundraiser on Oct. 27. LEGENDS OF MUSIC COSTUME PARTY: Dress as your favorite music legend from any musical era during the Duke Mansion’s annual Halloween fundraiser. Always one of the most fun parties of the year, guests will come to together to rock out and support the historic site’s Preservation Society. Dance to the Music of Hey DJ!, visit the "Rat Pack Lounge" where you are the karaoke star, play over-sized outdoor games, participate in a silent auction and enjoy food and drinks from Executive Chef Harrison Booth. 8 p.m. until on Oct. 27 at Duke Mansion, 400 Hermitage Road. $75. For tickets and more details, click here. Landscapes by John Beerman are on view Oct. 25-Nov. 24 at Anne Neilson Fine Art. ANNE NEILSON FINE ART: Oct. 25-Nov. 24: Renewed Wonder: Studios Into the Landscape, recent paintings by John Beerman. 532 Governor Morrison Street. Gallery hours are 10 a.m.-5 p.m. Monday-Friday; 11 a.m.-3 p.m. Saturday. 704-496-9181; anneneilsonfineart. ELDER GALLERY OF CONTEMPORARY ART: Through Oct. 27: Evolution, paintings by Susan Brenner and Chase Langford. 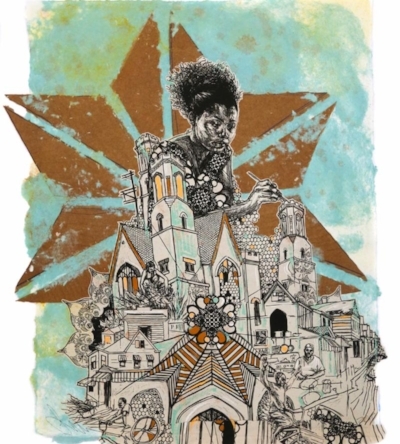 Nov. 1-Jan. 5, 2019: Vicarious, a multi-disciplinary exhibition featuring paintings by San Francisco-based Dan Bayless; drawings and paintings by Charlotte-based artist and Army veteran Will Bosbyshell; glass work by Pomona, California-based artist and Vietnam veteran Michael Aschenbrenner,; prints, objects and sculpture by Drew Cameron; installation work by Charlotte-based artist and Navy veteran Suje Garcia; a documentary produced by Susie Films; a virtual reality project produced by Army veteran Paula Kranz Broadwell; and artworks from graduates of the Chicago-based CreatiVets Program. Part of exhibit sales go to Veterans Bridge Home. 1520 S. Tryon St. Gallery hours are 11 a.m.-6 p.m. Tuesday-Friday; 11 a.m.-5 p.m. Saturday.704-370-6337; www.eldergalleryclt.com. Street Space, Embracing the History of Street Art & Culture is on view Oct. 24-Dec. 1 at New Gallery of Modern Art. NEW GALLERY OF MODERN ART: Oct. 24-Dec. 1: Street Space, Embracing the History of Street Art & Culture featuring works by Daniel Arkham, Jose Aurelio Baez, Christopher Chan, Jesse Choring, Seth Clark, Steven Firenze, Freehand Profit, Blaine Hurdle, Hnin Nie, Odriewgo, Christophe Roberts, David Rosenstraus, Grace Stott, Swoon, Dammit Wesley, Bryan Wilson and Stephen Wilson. 435 S. Tryon St., Suite 110. Gallery hours are 10 a.m.-6 p.m. Monday-Friday; 11 a.m.-5 p.m. Saturday. 704-373-1464; www.newgalleryofmodernart.com. Raise money for Dress For Success while helping them clear out space during the nonprofit’s Inventory Reduction Event on Nov. 3. DAUGHTER OF THE REGIMENT: Opera Caroline presents Donizetti’s opera that actually has a happy ending. It tells the story of a spirited young orphan raised by a French army regiment who must chose between love and social status. 8 p.m. Nov. 10, 7:30 p.m. Nov. 15 and 2 p.m. Nov. 18. Belk Theater at Blumenthal Performing Arts Center, 130 N. Tryon St. Tickets: $22-$157. www.operacarolina.org. AN EVENING WITH JOHN CLEESE: An evening of comedy with the legendary star of Monty Python’s Flying Circus, Fawlty Towers and A Fish Called Wanda. 7 p.m. Nov. 19. Ovens Auditorium, www.ovensauditorium.com. HOLIDAYS AT THE GARDEN: This annual light display has become a tradition for families. New this year is a musically-orchestrated topiary display in the Four Season’s Garden and the lights of fire and ice in the perennial gardens have been extended. There’s also an expanded Department 56 Dickens Village. Santa will be available for for pictures on select nights for an additional fee. Nov. 23-Jan. 6 (except Christmas Day). Daniel Stowe Botanical Garden, 6500 S. New Hope Road, Belmont. Adult tickets are $12.95 to $16.95. dsbg.org. "The Nest" by Cynthia D'Aprix Sweeney, a quirky drama about a dysfunctional New York City family and the fluctuating bonds between siblings. According to Sally, the author is 55 and this is her first novel published - and she was given a $1 million dollar advance. "The Queen of the Night" by Alexander Chee has real-life events and figures of the Belle Epoque era woven into a story about the scandal-filled experiences of a girl from Minnesota who escapes to Paris and becomes a famous opera singer. "Lies and Other Acts of Love" by North Carolina writer Kristy Woodson Harvey is praised as "Southern Fiction at its best." In this novel a grandmother finds out her family's little white lies may have influenced her responsible granddaughter to suddenly ditch her hedge fund manager fiancé to marry a musician she's only known for three days. 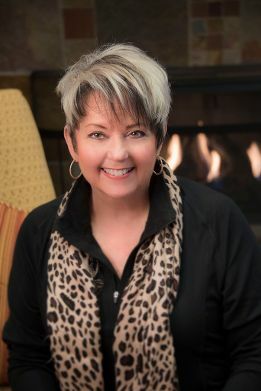 The author will sign copies of her book May 11 at Park Road Books during a Girls Night Out event that starts at 7 p.m. In other news from Park Road Books, Sally says that readers are snapping up copies of "The Rainbow Comes And Goes: A Mother and Son On Life, Love and Loss," by TV journalist Anderson Cooper and his famous heiress/entreprenuer mother Gloria Vanderbilt. Also popular is "Flight of Dreams" by Ariel Lawhon, a romantic adventure novel that takes place during the days leading up to the real 1937 crash of the German airship Hindenberg. And she confirms news reports that after the terrorist attacks in Paris last year, there was a demand from readers who wanted to revisit 1964's "A Moveable Feast," a memoir of Ernest Hemingway's expat observations of Paris in the 1920s. Interest in the book has waned, but the store still has copies in stock. Park Road Books is at Park Road Shopping Center, 4139 Park Road. Details: 704-525-9239; www.parkroadbooks.com. "The Arrangement" by author Ashley Warlick. Set in 1934 in California, France and the Swiss Alps, it's based on the real-life love triangle between food writer M.F.K. Fisher, her husband, and the man she left him for. The author has taught at Queens University of Charlotte's MFA program and is now the buyer for M. Judson Booksellers & Storytellers in Greenville, S.C.
"The Swans of Fifth Avenue" by Melanie Benjamin. The New York Times bestselling author of "The Aviator's Wife" takes readers into the world of 1950s New York High Society and its brightest star, Babe Paley, who becomes involved in a literary scandal with Truman Capote. "Pumped: The Art & Craft of Shoemaking" is on view through July 31 at the Mint Museum Uptown. It showcases shoe designs from around the globe, and from different centuries. The designs range from traditional leather to shoes made from a 3-D printer. All are from the Mint's permanent Fashion Collection. Admission is $24 and also includes the special exhibit "Here & Now: 80 Years of Photography at the Mint" featuring 215 stunning images curated from the Mint's permanent collection. Experience La Dolce Vita for a day during the annual Festa Italiana May 22 from 1 to 7 p.m. in the courtyards of Queens University of Charlotte. Authentic Italian food, wine and beer in a beautiful setting are part of the enjoyment of this benefit for the nonprofit Nevins Center and its mission of helping those with special needs and disabilities in our community. The $75 ticket includes food and beverages throughout the day, plus entertainment, an art show and access to vendors selling Italian goods. To buy tickets, click here.